Structure My Deal tools are complete — you're ready to visit Taylor Ford! Our Parts Team is committed to customer service. Come in and meet our friendly and knowledgeable parts representatives. Bob Smith our Parts Manager, has been providing our Taylor customers for over 25 years. Along with his team combined 50 years of experience. 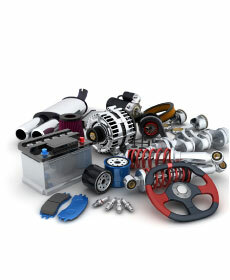 Taylor Ford offers genuine Ford new and re-manufactured auto and truck replacement parts. Engineered Specifically for Your Vehicle With Genuine Parts, there's no question about compatibility, fit or performance. The Right Fit Genuine Parts are built to exacting specifications to help enhance your vehicle's performance. The Right Performance Genuine Parts are backed by Ford Motor Company. They do exactly what your vehicle needs them to do - helping to keep your vehicle running its best mile after mile. See your Service Advisor for details.